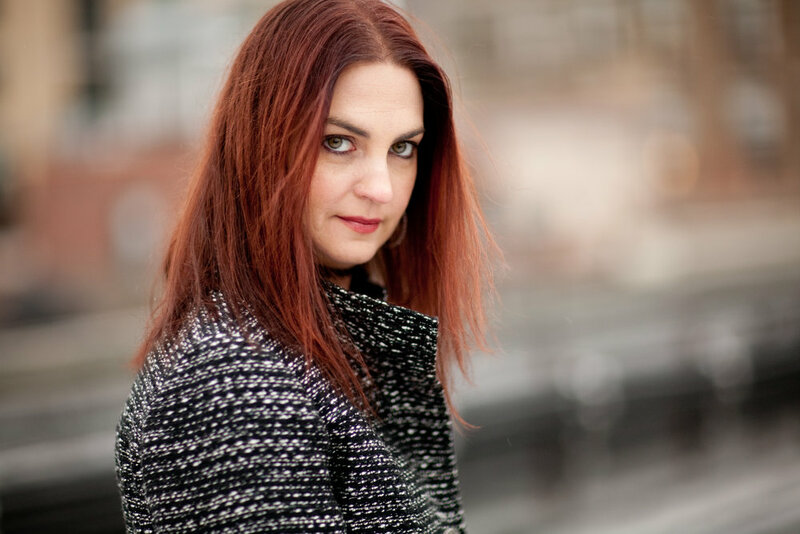 The New York City-based duo Amelia's Dream consists of singer/songwriter Amelia S. Gewirtz and musician/producer/songwriter Harold Stephan. The group's blend of folk-pop and electronica debuted in 1996 with Here in the Rage, and consistent gigs at clubs like the Mercury Lounge, the Knitting Factory, and the Bitter End and appearances at events like the NYC Marathon and AIDS Walk earned them a strong local following. Their second album, Love Tattoo, was released in 1999 on Ripe & Ready Records, with a third album Unravel: Recorded Live at the Magic Shop following in 2004. Inspired by the birth of their son Adam in 2007, the husband and wife team released a fourth album No More Time in 2013 under the name Parents With Angst. Highly anticipated new music is being released as singles beginning in the summer of 2017, with the song White Flag leading the way. The Amelia's Dream song single "White Flag" is released from a highly anticipated 5th studio album, followed by "America The Pharmaceutical"
Amelia's Dream releases the double CD No More Time under the band name Parents With Angst, heralding a new genre of "parenting music". 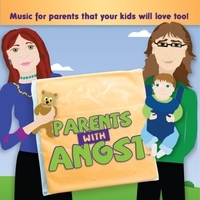 The band promotes the music through live performance videos themed around parenting topics. Amelia's Dream song "Broken" is featured in Season 7 Episode 19 of A&E Television Show Dog The Bounty Hunter. Amelia's Dream celebrates the birth of Adam. IT'S A BOY!!! The Disney-ABC Original Family Film, Everything you want, releases a CD to accompany the movie and chooses to feature the Amelia's Dream song "In Your Arms"
And through syndication our music has been in South Africa and Denmark from CBS and ABC/Disney Channels! They Licensed Love Tattoo to various films, MTV, Lifetime Network, ESPN2 etc. Race Taylor from WPLJ 95.5 FM says:" Songwriting craftsmanship...production quality, live performance..with the help of a major label Amelia's Dream is radio ready.."
Songwriters Monthly published a 2 page feature on the band and in a separate review wrote "Amelia is a gift to music she breathes life and authenticity into every track"
The Daily Vault exclaimed:" Heed the call, buy the disc and start saying "oh-my-god" for yourself"
Amelia's Dream is touring colleges up and down the East coast, performing live at various festivals. Recent highlights include: The Bethlehem Muzikfest, AIDS WALK, NXNE in Toronto, Philadelphia Music Fest, Feast of San Genaro, Rutgers University, WDST Radio Woodstock Live, and WFUV's Nightbirds series at the Bottom Line. "LOVE TATTOO is a big sound from a small label..."
"The songs are very well written and vocalist Amelia Gewirtz has one of the most beautiful voices I've ever heard..."
"...Amelia's Dream has brought breathtaking performances to such NYC clubs as The Mercury Lounge, The Bitter End..."
"Every song seems to relate to different things that happen around the world, or even my own life..."
"If Carly Simon had met the Indigo Girls in the 90's, they'd be called Amelia's Dream..."
"Songwriting craftsmanship...production quality, live performance..with the help of a major label Amelia's Dream is radio ready.."
"Amelia is a gift to music she breathes life and authenticity into every track"
"Heed the call, buy the disc and start saying "oh-my-god" for yourself"